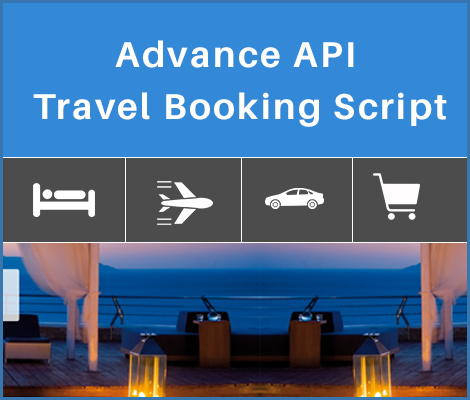 Advance API Travel Booking Script is an affordable and best script with this script you can satisfy all kinds of user or travelers because it's all in one API based booking script, it having some following booking options within it like Hotel, Flights, Cars and Cruise. Our Advance API Travel Booking Script has all necessary features for a Travel agent script website which is developed in PHP, Mysql and Ajax. Using this open source scripting we have developed secure and reliable booking script. Every 3 visitors can make you money with targeted traffic.